This strip was supposed to be done after I saw Terminator Salvation (as well as rewatching T1-T3) but thanks to work I haven’t had the time to do squat. 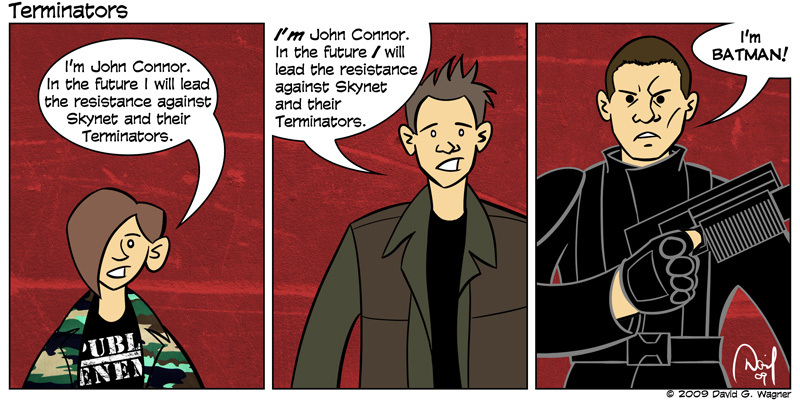 Anyway, after watching Terminator Salvation one thought kept running through my head. This strip is that thought. Enjoy!